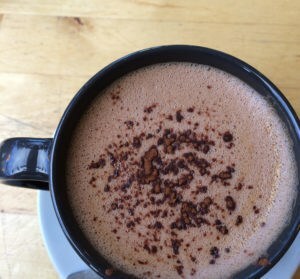 There is just such a lot of awesome booky news at the moment, of newly published and forthcoming books, that I feel I need to do a wee bloggy celebration. Jane kindly sent me over a copy of her new book Lazy Sunday Socks and what a cheery treat this little book is. Now, let me state right off the bat that beads just are not for me and beaded socks less so, BUT Lazy Sunday Socks are such a delight and, of course, you can omit the beads if they aren’t for you, because these socks have a lot going on in terms if yarn, of technique and of style to keep your interest too…for other non-beaders (I know I am not alone!). There are five designs in the book and they are all created in Eden Cottage Yarns. Just look at those No Mind to Worry socks, so shiny in ECY Titus! This books enables you into knitting truly elegant socks indeed. The layout is really clear and easy to read and I particularly loved the parts of the book on substituting yarn and beads, and the part on how to bead with a crochet hook will be really useful to people who want to bead. You can buy Jane’s book via Ravelry for £9.00 or as a paper and ink version via Etsy for £11.50. 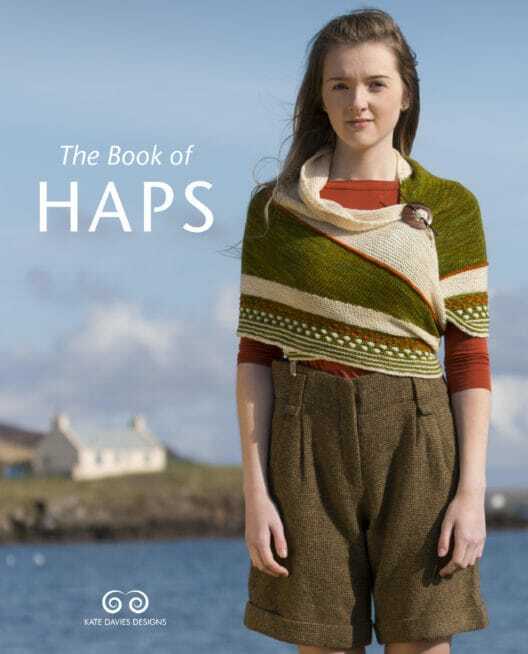 Anyone who knows me, this blog or the podcast will know that I am mad about the haps here at KnitBritish. The fact that the chat thread for the hapalong (which ended in July 2015) is still going strong is testament to the fact that you are pretty charmed and smitten by haps too! I’ve been aware of this book for some time and absolutely have been champing at the bit for it to be a real, live book…and pre-orders are now open! Kate has worked with twelve other designers to create a book which celebrates just how distinctive, creative and varied haps can be – from construction to shape to stitch techniques used. Each day ahead of publication a new hap pattern is being revealed to the world and they are just delicious! 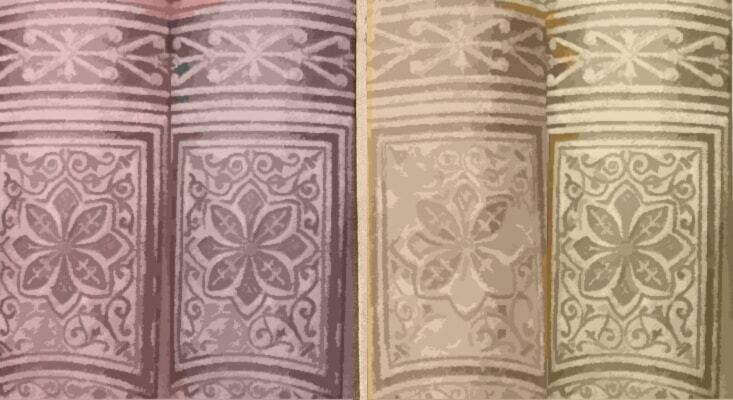 Of course, in addition to incredible design there will also be essays in the books looking at the story of the shawl. 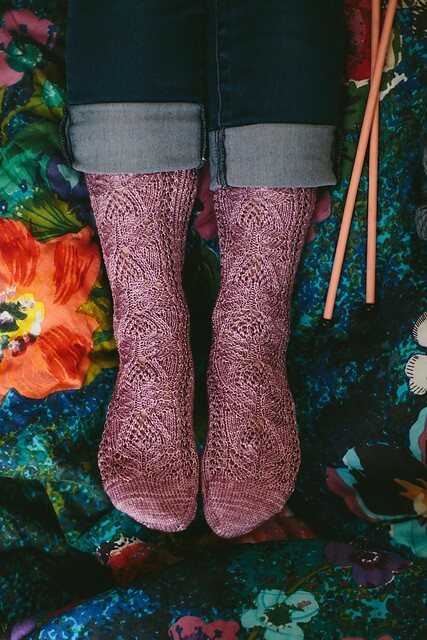 Haps truly mean a lot to me and I feel rooted to them almost – I was wrapped in one as a baby, so was my mam, so was hers…there is something about the hap that is truly special and I think when we all did the hapalong you really felt that too. I know I will be casting on lots of these designs and I am sure you will be too! 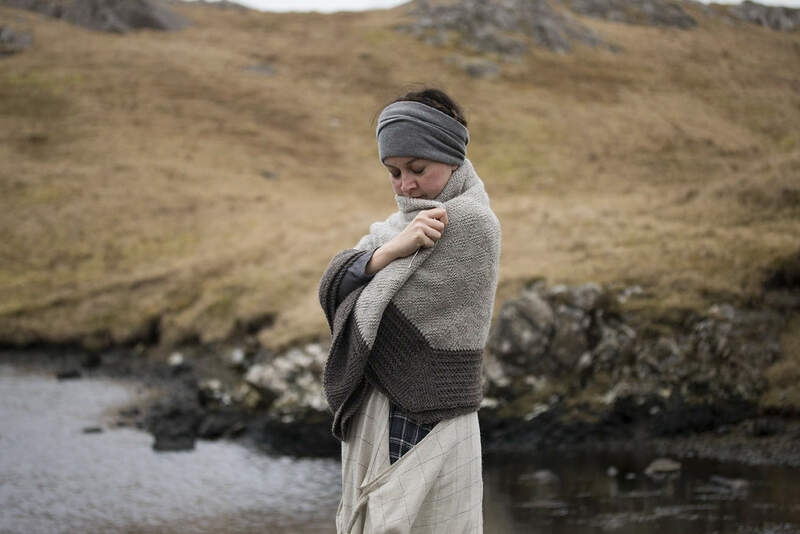 If you are following Kate’s social media you will have seen this image of Tom Van Deijnen’s Hexa Hap, but I wanted to share it because i think it is the most beautiful shot of Kate and that hap is so very appropriate in that landscape, isn’t it? Echoing the colours and textures. Buji © The Fibre Co.
Enso © The Fibre Co.
intoku © The Fibre Co.
Kaizen © The Fibre Co.
Takumi © The Fibre Co.
Yama © The Fibre Co.
Each sweater is worked top down with set in sleeves and each develops with variations on the theme of Zen. Renee has approached the collection with the idea that knitting is a physical meditation – this is something I can definitely relate to. Knitting can be such a beautiful, mindful, cathartic exercise, I can’t tell you the amount of times I have picked up my knitted to feel calm, to feel level. The act of knitting brings balance and wearing a hand-made item can be so meaningful too – Zen Variations marries these two ideas together in perfect harmony! Not only do I really love the clean style and lines of all of the garments in Zen Variations, but there are small details in each which are deceptively simple and truly beautiful – I love the flow of the curved hem on Enso, the garter side seam and the long rib on the cuffs. I really like the deep v neck of Intoku and the integrated pockets – such a classic beauty! Also the cross over style of Yama and Takumi are hugely versatile and wearable. 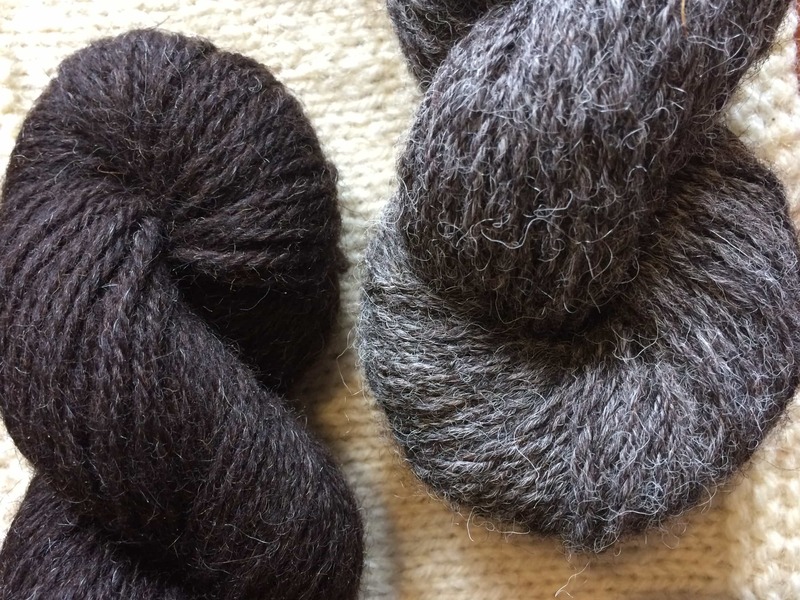 Not only are all of the designs going to become wardrobe staples, but they are going to be lovely to knit and all of these little details are going to add interest to your knitting. You can buy the complete collection of The Zen Variations for £15, via Ravelry or you can buy each design as a single pattern for £5. 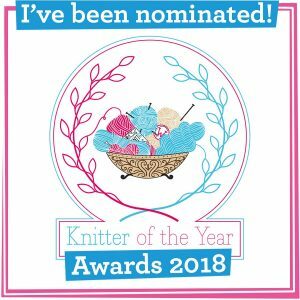 Congratulations to Renee, this is a really gorgeous collection and it is going to bring meaning and beauty to a lot of knitter’s project bags and wardrobes. I can’t not talk about exciting books without mentioning Karie Westermann’s kickstarer book project, This Thing of Paper. The Kickstarter launched on Monday and was fully funded within 25 hours! The campaign is currently at £12, 356 which is just incredible! 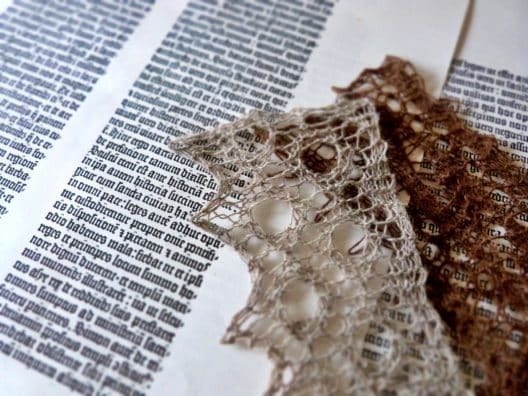 Karie is working with primary sources which range from 14th century illuminated manuscripts to 16th century embroidery manuals and has created ten designs which draw from these inspirations. I cannot wait until next year for this book and wish Karie such a lot of love and luck with the book. Karie will be on the podcast next week talking about her yarny inspirations! Great article! Love seeing the HAPS on a daily basis sent to my email. They are very enticing. I have a question for anyone reading this but I also love the head wrap for lack of a better description that is worn in the photo for Tom Van Deijnen’s Hexa Hap. 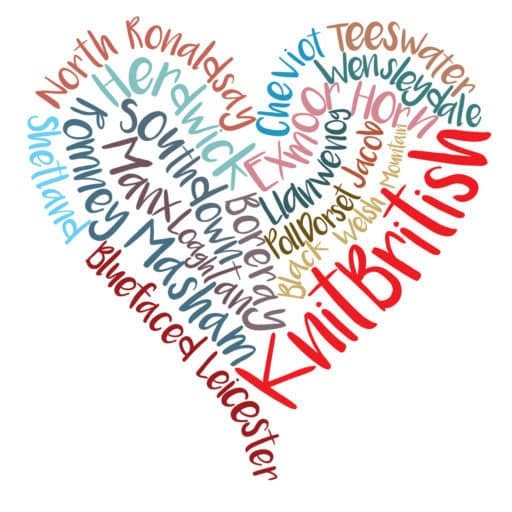 I’m wondering if there is an actual pattern for it 🙂 .. loving Knit British great job Louise!